With the incredible diversity of flowers that exist today—from pinprick-sized duckweed to the meters-high blooms of a corpse flower—it’s hard to imagine that they all descend from just a single species. Charles Darwin himself wrung his hands over how flowering plants exploded in diversity early in their evolution. 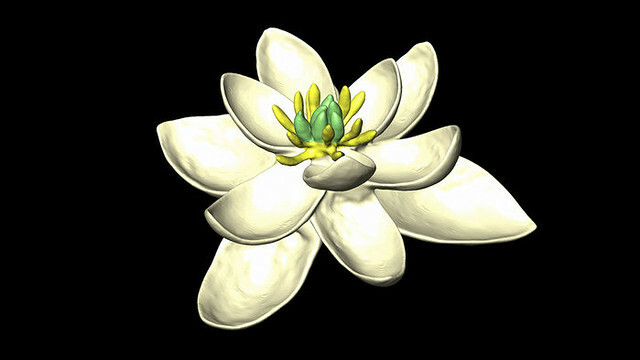 Now, researchers have figured out what the ancestral flower might have looked like. The study may help them uncover how flowers took over the world. Fossils are the surest way to learn about organisms that lived in the past, but these are hard to come by for early flowers: The earliest preserved blossoms date back some 130 million years—at least 10 million years after the time when researchers think the ancestor of all flowering plants was alive. But there is another way to learn about species that are long gone: by taking a careful look at the forms of their modern descendants, and tracing the history of those forms back to the trunk of their family tree. To that end, dozens of researchers participating in the eFLOWER project amassed data from scientific papers to create the largest database of the structures of modern flowers, like their sexual organs and the layouts of their petals. The analysis included more than 13,000 data points spanning back to a 1783 description by famous evolutionary biologist Jean-Baptiste Lamarck. Combining those data with a DNA-based family tree and information about fossils, the scientists tested millions of configurations of how flowers may have changed through time to determine the most likely structure and shape for the earliest flowers. As we cultivate our gardens, we might send fecund birthday greetings to Sidney Walter Fox; he was born on this date in 1912. 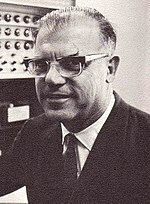 A biochemist interested in the biological origin of life, he studied the synthesis of amino acids from inorganic molecules. He gave the name proteinoid to the protein-like polymer that results from a mixture of amino acids subjected to such considerable heating as would be present during the volcanic primordial earth (in the “primordial soup” as it’s colloquially known). Fox observed that when proteinoids or “thermal proteins,” are placed in water, they self-organize into microspheres or protocells, possible precursors of the contemporary living cell. Fox argued that RNA or DNA need not date back to the origin of life; and he showed that proteinoid “microspheres,” as he called them, exhibit growth, metabolism, reproduction (by budding), and responsiveness to stimuli – all properties of life – though without a genetic system.